Book your stay now and enjoy the incredible nature the North-West of Iceland has to offer. Fantastic scenery and black sand beaches in the beautiful Old town of Blönduós with a view to the North-Atlantic ocean. 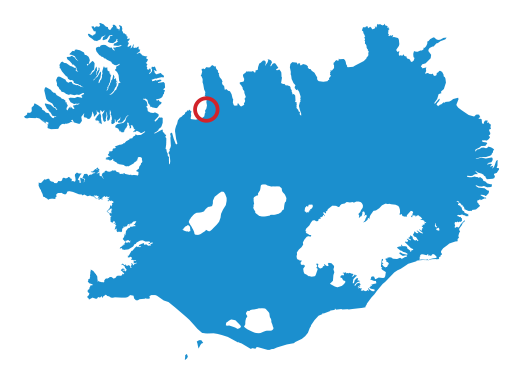 It is perfectly situated between Reykjavík and Akureyri or the Westfjords. We have various rooms available all dependent on your needs. The Hotel is in the old District Commissioner Building that was built in 1943 and situated in the old town of Blönduós. In our backyard there are beautiful black sand beaches and a stunning view over Húnaflói bay and the North-Atlantic Ocean. This area of Blönduós is also home to some spectacular birdlife. The hotel offers 19 rooms and is right by highway no. 1. It overlooks the river Blanda and the North Atlantic Ocean.